Hello everyone! Time for the (slightly delayed... sorry about that!) last Fashion February blog post! I have really enjoyed this blogging series; I've loved the topics that I had the chance to write about and I've also discovered and "met" some great new blogging friends too! For the last post of the series, I'm going to be talking about Kimonos. Although kimonos are traditionally a Japanese garment, they have quickly been reinvented as a fantastic statement item for the modern day girl's wardrobe. Personally, I adore wearing kimonos as I think they look really interesting and can add some different textures to an outfit. 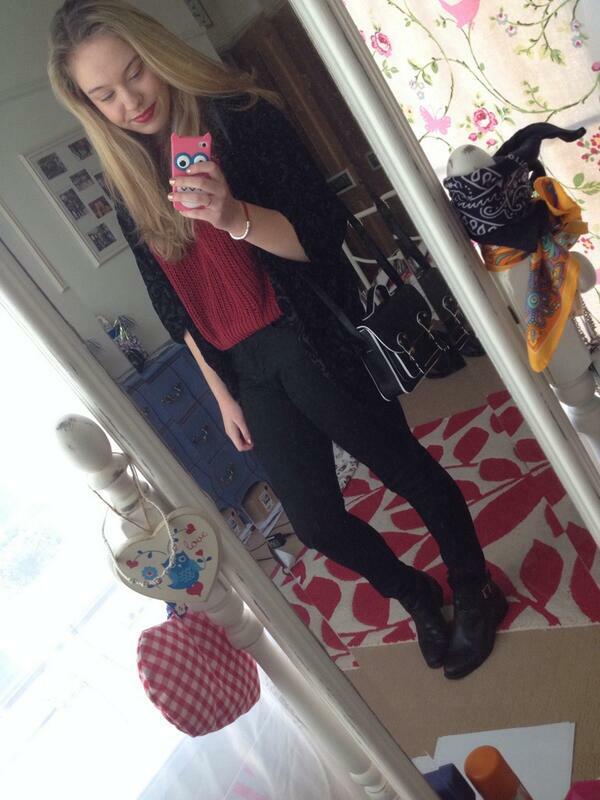 This is me wearing a black velvet kimono from New Look. I love to wear it on cooler days with my black high waisted jeans or alternatively wear it with a block colour dress to spice it up a bit! On the other hand, I absolutely love lighter kimonos for the summer. This year I am determined to take a more boho approach to my fashion and I think by purchasing a kimono I could achieve exactly that! 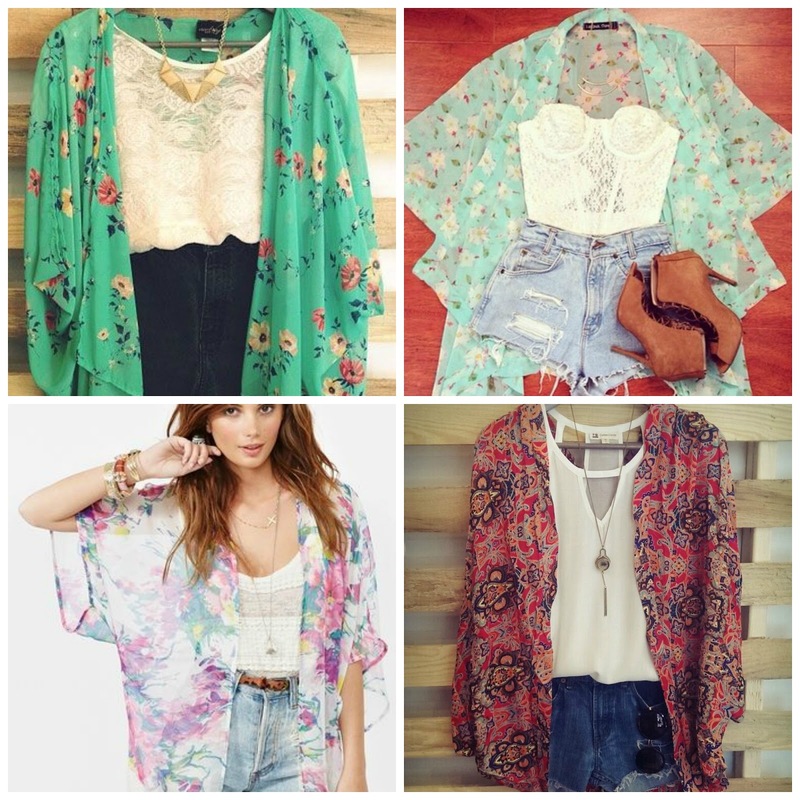 These are a few examples of the boho kimonos that I love. I really like them paired with shorts and a plain shirt or bustier... let the loud prints of the kimono do all the talking! I think that they are super cute and I will definitely be on the search for one very soon! So, that concludes my posts for Fashion February! I've had so much fun! Thank you to Ali for setting it up and for all the other bloggers involved for supporting each other! Make sure to check out everyone's Fashion February posts by searching #FashionFebruary on twitter!